Belly has an unforgettable summer in this stunning start to the Summer I Turned Pretty series from the New York Times bestselling author of To All the Boys I’ve Loved Before (soon to be a major motion picture! ), Jenny Han. Belly’s never been the kind of girl that things happen to. Year after year, she’s spent her summers at the beach house with Conrad and Jeremiah. The boys never noticed Belly noticing them. And every summer she hoped it would be different. This time, it was. But the summer Belly turned pretty was the summer that changed everything. For better, and for worse. For Belly, summertime means all her favorite things: swimming, the beach, and the Fisher boys, Conrad and Jeremiah. She has spent summers with the Fisher family at Cousins Beach for as long as she can remember. Belly has always been in love with Conrad, and finally, one fateful summer, it seems like he might have feelings for her, too. But it turns out, so does Jeremiah. Belly soon realizes she has to choose between the two brothers who love her, and in doing so, will have to break one of their hearts. Against the backdrop of growing up, changing family dynamics, laughter and loss comes a poignant and relatable trilogy about a girl learning what it means to love. 1. The Summer I Turned Pretty begins with a short scene prior to the first chapter. How did you interpret it? Why do you think Jenny Han introduces the book this way? 2. We get a great feel for the house at Cousins Beach in the very first chapter. How does Jenny Han use all five senses to describe the novel’s setting? Describe similar examples of writing craft throughout the book. 3. What does “pretty” mean, with respect to the title of the book? How would Belly define “pretty”? How do you define “pretty”? Is there a difference between “pretty” and “beautiful”? 4. The Summer I Turned Pretty is told in the first person from Belly’s perspective, apparently in retrospect. When is the “now” from which she’s narrating? How do you know? 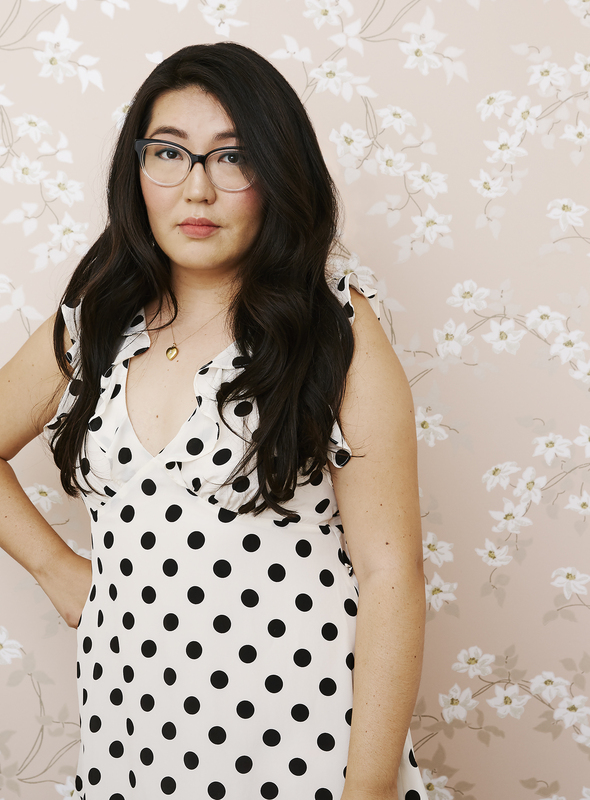 How might the story have been different if Jenny Han had written the novel in third person? 5. Chapters alternate between past and present—between significant memories from earlier summers and current experiences. What purpose do these flashbacks serve? 6. In what ways does each person in the house (Jeremiah, Conrad, Susannah, and Laurel) play a particular “role”—in the story, overall, and in Belly’s life? How does the dynamic change when Steven leaves? How might the atmosphere have been different if Mr. Fisher had visited, or even Belly and Steven’s father? 7. “I was getting older too. 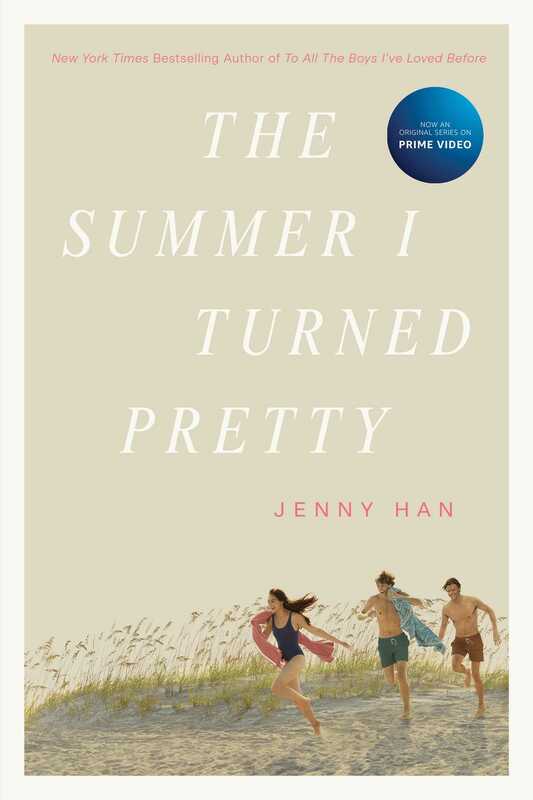 Things couldn’t stay the same forever.” What do you think Jenny Han is suggesting here? Recall a time in your life when you realized you were growing up, and how that felt. 8. Belly and the boys love playing “Would You Rather.” Borrowing Jeremiah’s example, “Would you rather live one perfect day over and over or live your life with no perfect days but just decent ones?” What do you think? How do these competing scenarios relate to the issues Belly faces? If asked again at the very end of the summer, do you think Belly would stick with her original answer (for just decent days)? 9. What is the turning point in Belly and Conrad’s relationship? Were you surprised by the direction it took? 10. When did you start to think there might be something seriously wrong with Susannah, and/or the family’s situation? What were the signs? 11. Explain Belly’s feelings for Cam over the course of the novel. Did she ever really like him? What stopped her, ultimately, from falling in love with him? 12. What’s the point of including Belly’s childhood friend, Taylor, in The Summer I Turned Pretty? How did Jenny Han use Taylor to help the reader get to know Belly better? 13. “The old pull, the tide drawing me back in. I kept getting caught in this current—first love, I mean. First love kept making me come back to this, to him. He still took my breath away, just being near him. I had been lying to myself the night before, thinking I was free, thinking I had let him go. It didn’t matter what he said or did, I’d never let him go.” Do you identify with Jenny Han’s powerful description of first love? Discuss the difference between crushes and love. How might Belly differentiate the two? 14. Susannah jokes about her cancer. What was the effect of this comedic moment on the characters in the novel? How did it affect you, as a reader? 15. Which of Belly’s three love interests in The Summer I Turned Pretty did you like best—Conrad, Jeremiah, or Cam? Compare and contrast, then come up with a list of qualities for an ideal summer romance! 16. Discuss the ending. What’s happened? What do you think will happen from here? 1. It’s Not Summer Without You opens on a sad note. We learn that Belly and Conrad are not together, and that Susannah has passed away. How were you affected by this beginning? In what way did Jenny Han continue Belly’s story from The Summer I Turned Pretty, and in what way did she introduce a whole new story in the sequel? 2. We see much more of Taylor in It’s Not Summer Without You. How would you characterize Belly’s friendship with Taylor? What role does Taylor play in Belly’s life? Where do you see their friendship going from here—do you imagine them staying friends like Laurel and Susannah or have they already outgrown each other? 3. Unlike in The Summer I Turned Pretty, we’re presented with a point of view other than just Belly’s—several chapters are written from Jeremiah’s perspective. How does this change your experience as a reader? Do you look at characters or situations any differently, hearing Jeremiah’s side? Why do you think Jenny Han chose to show us Jeremiah’s point of view, and not Conrad’s? 4. How do Belly’s experiences in The Summer I Turned Pretty and in It’s Not Summer Without You represent her coming of age? Is Belly a child, or an adult? Can she be both at one time? At what point does she grow up? What factors have accelerated or delayed her entry into adulthood? 5. When Belly sees the infinity necklace in Conrad’s drawer, she takes it—impulsively—and puts it on. Why did she do this? Would you have taken the necklace, if you were Belly? What did you think about Belly for doing this? 6. Whereas The Summer I Turned Pretty took place exclusively at Cousins, the events of It’s Not Summer Without You take place in several different settings; Cousins, Belly’s house, Jeremiah and Conrad’s house, and Conrad’s college. Furthermore, the house at Cousins has a very different feel this summer, than it has for the characters in the past. How important is setting, in fiction? How important is setting to this story? 7. How has your opinion about Belly evolved, after reading this sequel? In what ways do you understand her better? In what ways are you disappointed, supportive, surprised, or confused by her actions in the sequel, as compared to The Summer I Turned Pretty? 8. How has Belly’s relationship with her mother changed or remained the same in It’s Not Summer Without You? What are your thoughts and feelings about Laurel, as Belly’s mother, but also as a character in her own right? 9. Belly acknowledges her unrequited love for Conrad; “It wasn’t like how it was with Conrad and Aubrey. He’d loved her. Once upon a time, he’d been crazy about her. He had never been that way with me. Never. But I had loved him. I loved him longer and truer than I had anyone in my whole life and I would probably never love anyone that way again. Which, to be honest, was almost a relief.” What does Belly mean here? Do you believe her? 11. Belly returns the infinity necklace that she’d taken from Conrad’s desk. What did this moment signify to Belly? To Conrad? Discuss the symbolism of the necklace. 12. Who is the “you” in the title of the book? 13. Like in The Summer I Turned Pretty, this next book in the series ends with a mysterious preview of what’s to come. “A couple of years later” gives us a snapshot of Belly’s wedding day. Whom do you think she will marry? Why does Jenny Han conclude the novel in this way? 1. We can tell a lot about a person by the company she keeps. In We’ll Always Have Summer, we’re introduced to Belly’s friendship with Anika, in addition to her ongoing friendship with Taylor. How are the friendships similar? How are they different? What roles do Taylor and Anika play, respectively, in Belly’s life, at the time when the novel takes place? 2. When Belly tells Anika about Jeremiah’s infidelity, Anika replies, “Keeping a secret like that from the person you love is probably the worst part.” We learn of several secrets in We’ll Always Have Summer—Jeremiah’s, Belly’s, Conrad’s. How much of what happens in this third novel is influenced by secrets? Is it ever okay to keep secrets? Is it ever okay to keep secrets from the people you love, in particular? 3. We’ll Always Have Summer is the most nostalgic of the three books in Jenny Han’s series. The title evokes the warmth and comforting permanence of memories. Belly is particularly touched by her memories of growing up at Cousins Beach, especially as represented by the images she recalls of Jeremiah and Conrad. Discuss Belly’s reaction to her realization that she’s had the story of Rosie, the dog, all wrong in her memory: “What else had I remembered wrong? I was a person who loved to play Remember When in my head. I’d always prided myself on how I remembered every detail. It scared me to think that my memories could be just ever-so-slightly wrong.” How much of Belly’s love for Jeremiah and Conrad is based on memories? How much weight can we assign to memories, as a foundation for current relationships? What kind of value does Belly put on her memories? 4. Belly’s conflicting feelings for Jeremiah and Conrad come to a head in We’ll Always Have Summer. As Belly grapples with determining how she’s feeling, she’s simultaneously struggling to control her feelings. Is it even possible for people to control love? Discuss what the following quote means to you, and the extent to which you agree that feelings can be safely tucked away. 6. Taylor insists, “You should have everything you want, Belly . . . You only get married once.” Describe your ideal wedding. What would you prefer to have, but could do without, when push comes to shove? What features of your dream wedding are “deal breakers”—what do you consider absolutely imperative? 7. One of the hardest parts about going away to college—or moving, or simply starting a new school, for that matter—is making friends. Belly is tremendously relieved to be invited to her hallmate’s room to hang out with the girls. She confides, “maybe these were my people.” Who are your people? What qualities do you look for in new friends? What advice would you have shared with Belly for making friends that first semester of college? 8. Belly’s feelings for Conrad are profoundly conflicted throughout the three books in Jenny Han’s series. In regards to whether or not Conrad would attend Belly and Jeremiah’s wedding, Belly admits, “I think I was afraid. Afraid that he was coming and afraid that he wasn’t.” What does she mean by this? 9. Finally, after hearing Belly’s point of view, and then Jeremiah’s beginning, in It’s Not Summer Without You we have a window inside Conrad’s mind. How did your impression of Conrad change at this point? Why do think Jenny Han chose not to feature Conrad’s point of view until now? Why show shifting points of view (besides Belly’s) in the first place—what effect does this have on how you interpret the story? 10. We see Belly’s relationship with her mother evolve throughout the three books in the series. In We’ll Always Have Summer, we’re privy to a compelling power dynamic between mother and daughter that hasn’t been as evident in the past. What is this power dynamic, and to what do you attribute it? How would you characterize the nature of Belly and Laurel’s relationship? 11. How important is it to you that your family accepts your significant other and the choices you make with him/her? Furthermore, how important is it for you to have your friends’ blessings? 12. Although she attempts to convince herself otherwise, Belly is wrought with guilt following her subtle yet dramatic encounters with Conrad: first with the peaches and then when she nurses his surfing wound. Is Belly’s guilt justified? Why do you think these moments carry such significance for Belly? 13. Conrad asks his former employer and dear friend, Ernie, “Do you really believe in that? That people are meant to be with one person?” How would you answer this question? Do you believe in soul mates, or is it possible to love more than one person over your lifetime? Is it possible to love more than one person at the same time? Belly considers this possibility, when she realizes that she has feelings of love for both Jeremiah and Conrad. How would you explain this? 14. Jenny Han gives us plenty of opportunities to compare and contrast Jeremiah and Conrad—who they are as individuals, as well as who they are as they relate to Belly. Belly is constantly evaluating the two brothers. A few times in We’ll Always Have Summer, she even confuses the two—like when she realizes that it was Conrad who found the dog, Rosie, and not Jeremiah. A similar mix-up occurs at the very end of the book, when Jeremiah opens his letter from Susannah, only to realize that the letter inside was really for Conrad: “My mom must have mixed up the envelopes. In the letter she said she only got to see him in love once. That was with you.” Can you think of other similar mix-ups? What do we learn from these mix-ups? 15. Explain the title of this third book in the series, We’ll Always Have Summer. What does this mean, to you? Who is the “we” referenced? How would you define “summer,” in this context? 16. Finally, after three wonderfully suspenseful and poignant novels, we learn which brother Belly ends up with. Do you think Belly made the right choice? Were you surprised by her choice? Are you satisfied with this ending to the series? 1. On the final page of We’ll Always Have Summer, we learn which brother Belly chooses to spend her life with. Think back to The Summer I Turned Pretty and It’s Not Summer Without You. What clues do you see, in retrospect, which pointed to this end result? 2. Discuss the titles of the three books in Jenny Han’s series. Who is the “I,” “you,” and “we’ll” referenced, respectively? What does summer symbolize to Belly? To you? 3. Which character changed the most over the course of the three books? Which character surprised you the most? With which character do you most closely relate? 4. Contemplate Belly’s experiences from when we meet her in The Summer I Turned Pretty through the final book in the series. How would you characterize her journey, overall? When faced with a tough choice, did she always do the right thing? What were her biggest mistakes? Her greatest successes? 5. What elements of writing craft do you think Jenny Han demonstrated particularly well? How would you characterize her writing? 6. What effect did presenting this story over three books have on you, as a reader? Would the story be any different if it were compressed into one, comprehensive novel? 7. Explore how you think Belly’s life will play out, going forward.